Properties in Plaza de los Fueros average 4.8 out of 5 stars. Property 16: Mendiola studio 2/4 pax in Gorosarri rural house. 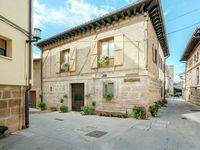 Property 25: Elai etxea (Apt. Añana) Ideal for groups of up to 9 people. Dolce Vita Center. Tourist apartment. Property 28: Dolce Vita Center. Tourist apartment. Property 42: THE GOLF VILLA. HOUSING IN A NATURAL ENVIRONMENT WITH A SPECIAL CHARM. the most beautiful house in the world ideal to surprise and celebrate events. Property 48: the most beautiful house in the world ideal to surprise and celebrate events. 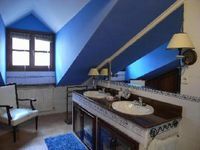 Beautiful well appointed apartment in the middle of old town district in Vitoria. The owner was extremely helpful in guiding us to the apartment as traffic closures made it difficult to get near on the weekend. The apartment was clean and quiet, but close to all the restaurants and energy of the Virgin Blanca and Plaza De Espana plazas. Perfect apartment location to enjoy all that Vitoria has to offer. You will enjoy the total experience and most of all, you will find Zutoia (the Owner) to be charming, helpful and accommodating.